I have an ongoing debate in my mind about using recipes. Sometimes I’d rather just use good ingredients and good cooking principles. But this is an artifact of having cooked for family and friends for some time. It is also related to the fact that I am in possession of a rather large cookbook collection. It is from using good recipes that we learn to use good ingredients and good cooking principles. These days, it is only for certain novel or complicated dishes that I actually use a recipe. But it is not uncommon for me to crack open one or several cookbooks at once, spread across our table to get inspiration for any one dish that I want to prepare. I pick and choose elements from various recipes and combine them into something I will really like. This Thanksgiving I'm going back to the books, albeit books like Pinterest and websites, as well as my trusty cookbooks. This because I plan a Paleo Thanksgiving dinner. Numerous foods of the season lend themselves to the Paleo approach to eating. For instance, squash, as featured recently in another Food Friday post HERE. This is because squash is a complex carbohydrate which is nutrient rich. Along with sweet potatoes, it is the healthy eater’s white potato. What makes a Paleo approach is tailoring foods to fit optimal human nutrition and metabolism. Not only does Paleo avoid foods such as simple processed carbohydrates like sugar and flour, it also avoids foods with harmful components, be they artificial colorings, flavorings, preservatives, trans fats, high fructose corn syrup and anti nutrients like alcohol and caffeine. Enough about the don’ts. What’s on the menu ? Turkey, venison, elk, and oftentimes salmon. Squash will be paired with cooked fruits, dried fruits, toasted nutrient rich nuts, and healthy fats like coconut oil and olive oil. Vegetables will come in grand combinations, such as brussels sprouts, with bacon, nuts, and pomegranate arils. (Scrabble word there…arils) And of course, faux potatoes made from cauliflower. Cranberry sauce will make it onto the menu, but this year paired not only with orange, but with applesauce for sweetness. I include wild rice stuffing, which I have featured before HERE. Pies must be made. This year I am intent on learning the nut crust. We always have pumpkin, and two flavors of fruit, one of which is cherry. There will be a little sweetener involved, perhaps agave with a lower glycemic index, and coconut cream to top. Beverages will be Pellegrino, and new this year, Kombucha, which to me is as delightful as Champagne, but with health benefits. Afterwards, we will make looseleaf organic Earl Grey Decaf, and french press water process decaf from freshly ground coffees. Coffees can be served with chocolate and coconut cream, and teas with lemon wedges and cream. That is my vision. Check out my Paleo album on Pinterest HERE if you like. I thank you for letting me incorporate my planning here in your blog post, but this is the way a great meal starts. Happy Thanksgiving Week. How was your thanksgiving ? Not flawless ? That's ok. Take this time to decide how to make the rest of this weekend worthwhile. Our family and friend group has a leftover party every Thanksgiving Friday. Pies are featured as well. Turkey soup and turkey pot pie are great options. Consider this time, your leftovers, your pies, friends and family and be grateful. Fruit muffins were originally an attempt to use up borderline fruit and to make regular muffins (Fruit muffins 1.0) more healthy. They have since become a family favorite. You may not need to make fruit muffins before Thanksgiving but you will most definitely need to make them afterwards. That is why I am giving you the recipe this week. You see, you will have left over items from Thanksgiving, and most likely you will make soup out of these premium ingredients. It follows therefore that you will need muffins to go with your soup. Fruit muffins 2.0 is a flexible recipe. You will see a lot of variations and there are a lot of workable substitutions. Adjust your shelf to the upper third of the oven and preheat to 350 degrees F.
Two cupcake tins each holding 12 cupcakes. or 3 bananas +3 cups mixed fruit such as strawberries, diced fresh apple, dried cranberries. Cream the liquid ingredients first starting with the butter in the sugar by themselves. Add eggs at this stage and whip mixture until fluffy. Add the lemon juice and whip again. Mix in all the fruit and the zest. Whisk together the dry ingredients so they are thoroughly mixed. Stir or fold them thoroughly into the wet ingredients. Scoop with a large ice cream scoop into the muffin papers. Bake 19 -24 minutes ( usually 23) until golden and slightly firm, and passing the sharp knife test. Transport in their tins to serve warm to happy friends and family, or to crabby ones and watch their mood improve. These are great served with cold milk. Have fun cooking this week. Clean , decorate, cook, and forget perfection. Make cooking a fun group activity. Make it healthy with selected treats and family traditions. Get along with everyone as best you can. Most of all, be grateful. You will not believe the ingredients for this recipe. When you assemble the ingredients, it looks like you're going to make a salad. But the result is as hefty and savory as the Thanksgiving turkey itself. This recipe is best made by crowd since there are a lot of ingredients to prepare. Additionally it is best to start a day ahead. On Thanksgiving day, ingredients should be prepped two or three hours ahead of when the turkey will be done. Finally, be advised that this stuffing does not actually stuff the turkey. It is much safer, much quicker, and just as delicious to bake the stuffing in its own separate pan, which incidentally, is anything ovenproof, such as metal, glass, or ceramic. For cooking you will need at least two large frying pans, prep bowls, and a big bowl for mixing. Budget at least one cup of stuffing for each guest. This recipe makes at about 8 cups. 2 cups dried fruit soaked overnight in the wine of your choice, and minced. Our favorites are craisins, dried pears, dried apples, or dried plums. One cup sliced or slivered almonds, toasted carefully on a metal pan under the broiler. Be careful since they go from perfect to burnt in a few seconds. As a general rule, you will begin sautéing the ingredients one by one or in groups from hard to soft. That is to say, you cook the ones that take the longest first. Cook each of these until they are almost perfectly done. Sauté the minced garlic, onions and celery in olive oil. Go slowly enough so that they caramelize and do not burn. Set these aside and sauté the apples. Add green onions and parsley and sauté these. Set aside. Sauté the mushrooms until slightly browned. Salt and pepper each batch lightly as you go. You can always add more at the end. Mix all of this with the rice, the dried fruit, the flavored wine, the almonds, the zest and juice of the orange, and the spices. Mix everything thoroughly. Adjust seasonings. Press the mixture evenly into the pan or pans. Moisten everything lightly with the broth. Do not feel compelled to use all of the broth. At first, you will be cooking the pan with foil on top at 375° to finish cooking the ingredients and blend all the flavors. This will take somewhere between 30 and 45 minutes. The mixture should end up moist but not soupy. In the last 15 minutes you will want take take the foil off and watch carefully to brown the top. Serve beside the turkey or separately. Once served, refrigerate promptly. It reheats very well. Most people think of gratitude as a feeling. Actually, it is a practice. Did you know that there is a science of gratitude? 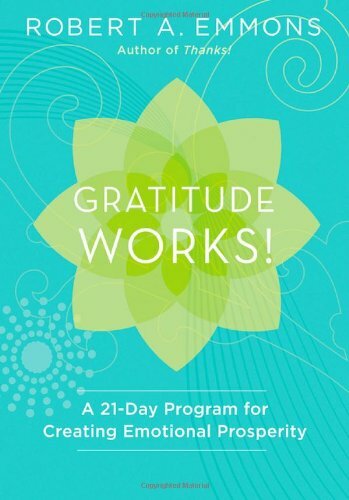 Major academic centers the world are investing in gratitude. Gratitude is studied as a part of a relatively new branch of Psychology called Positive Psychology. A landmark study in the Journal of Personality and Social Psychology, 2003, volume 84 number 2, entitled “Counting Blessings versus Burdens: an experimental investigation of gratitude and subjective well-being in daily life." This research suggested that”...a conscious focus on blessings may have emotional and interpersonal benefits”. Much more recent research since then has also underscored the physical health benefits of gratitude. Most of us understand by now that the mind and body are connected on a neurophysiologic level, and while it is fascinating, it is no surprise that a mental practice such as gratitude could go on to have concrete benefits to physical health. What is gratitude, the practice? Make a resolution or vow to practice gratitude. Make a plan to practice gratitude. Have a morning gratitude ritual. Examples would be glancing over your gratitude journal or meditating for a few minutes about what you are grateful for. Adopt the physical habits of gratitude such as smiling and making eye contact, saying hello,, saying please and thank you, and making a physical gesture such as handshaking if appropriate. Send written expressions of gratitude such as emails and thank you notes in paper. 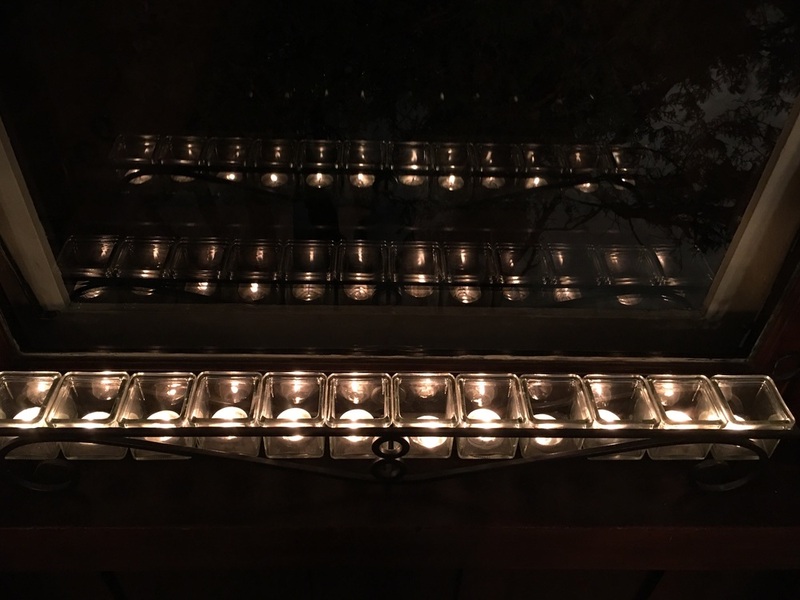 Place objects or other visual cues in your house, office, or where you can see them to remind you of something for which you are grateful. Keep a gratitude journal. Make it brief but make it regular. If you keep it by your bed you can glance at it first thing in the morning. Go out of your way to remember good times. What will a practice of gratitude do for you? Improvement of a immune function as measured in the bloodstream. Higher levels of life satisfaction. It makes you a better friend to others. This is not just new age foo foo nonsense. 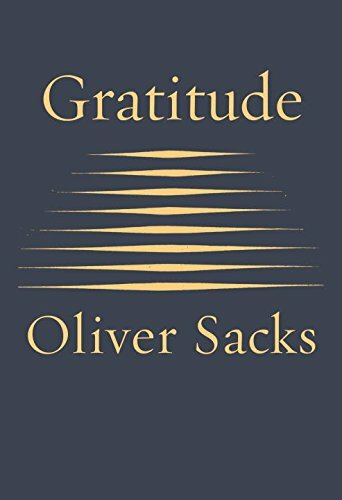 Institutions such as Stanford, Harvard, and Penn, not to mention Google have thrown serious money, time, and entire departments into the pursuit of the evidence based effects of gratitude. So this Thanksgiving, capitalize on this most important of national holidays. Find your gratitude, and keep it going. “ Hey wait, I thought food Friday was supposed to be a celebration of good food and eating !” Of course it still is. I just want to talk a little bit about how to understand your own metabolism and to leverage it for your health and for your enjoyment. Bear with me for a little science. Carbohydrate or carbs is a term we hear frequently in popular media. But what exactly are they? A carbohydrate is a compound that contains carbon, hydrogen and oxygen. These molecules are linked together in such a way as to store energy. In their simplest form, they are sugars like glucose. When they are linked together like Legos they become starch, which is really just a storage form of glucose. Glucose is the body's principal energy source, its fundamental fuel. But as with most things,too little or too much is a problem. A young, healthy, non-pregnant body will manage its fuel very efficiently. The silent internal workings of the body's physiology will keep circulating levels of glucose within a close ideal range, even during periods of dietary excess and periods of dietary scarcity. The main regulators here are insulin and glucagon. Insulin is a pancreatic hormone that brings glucose from the circulation into the cell where it can be used for fuel. Glucagon has the opposite effect. When blood sugar levels go low, though lack or food or periods of high demand, glucagon goes into action and mobilizes stored starch to be broken down releasing glucose into the bloodstream. When we become overweight or pregnant or older, this process works less well. In particular, the cells do not respond as well to insulin. I am not speaking of diabetics here. This tendency is true of everyone. When we do not process our blood glucose efficiently, specifically when we become less sensitive to our own insulin, we are said to be carbohydrate intolerant. A vicious cycle can then ensue. When we cannot bring glucose from the bloodstream into the cell by the action of our insulin, the concentrations of glucose in the bloodstream becomes abnormally high. This leads to the formation of fat in our tissues and in particular our arteries. This of course, leads to cardiovascular disease. Under these circumstances, our insulin levels also become chronically high in an attempt to bring the blood sugar down. This is called hyperinsulinemia, and it is thought to be a precursor of type 2 diabetes. Moreover, hyperinsulinemia alone is associated with “ Metabolic Syndrome” , the unholy quartet of hypertension, obesity, high cholesterol ( or triglycerides) and glucose intolerance. How can you short-circuit this vicious cycle? Well, no one can avoid aging if they're lucky, and many people choose to become pregnant. Avoiding obesity is the best way to avoid carbohydrate intolerance because, as you have no doubt gathered by now, obesity leads to carbohydrate intolerance, and carbohydrate intolerance leads to more obesity, a vicious cycle. That is one of the reasons why it is so hard for people to lose weight once they have become obese. It is far easier to avoid obesity in the first place than it is to correct it after the fact. But there are many obese people who are intent on losing their weight and getting healthy. Here's the good news for them, and for the rest of us wanting to prevent these problems. If we minimize sugars and simple carbohydrates (like starch) in our diet and keep a steady intake of meals and snacks with high quality fruits, vegetables, proteins and fiber, our blood sugar levels will trend toward the steady and normal, both necessary to avoid the development of carbohydrate intolerance. If we add steady increasing levels of physical activity every day and, as a result develop increased exercise tolerance and increased muscle mass, we will have synergistically increased our metabolic rate. We will feel more energetic, and as a result be more active. A virtuous cycle will set in! Here's the real newsflash: I am asking all my patients to pay more attention to food. In fact, I am almost certainly asking them to eat better food, in greater quantities, more frequently. In fact I would be thrilled if all of my patients made healthy food a lifelong hobby. Sourcing high quality food, searching for recipes, trying new things, and entertaining with healthy recipes is a lot of fun. So with the holidays approaching, do not worry. Get excited about finding some great healthy recipes. And maybe plan a frosty family walk outside on your Thanksgiving morning, or between dinner and pie.